One of the toughest decisions is picking the right clubs for someone. If you are not a golfer, that decision is especially difficult. The buying experience for golf clubs doesn't have to be hard. It might even be educational enough to convince yourself to pick up some new gear and get started in one of the most popular sports today. How do you choose a set of clubs? A great starting point is the Internet! More and more people are buying golf clubs online. This may be because you can find a better value and easily comparison shop in the confines of your own home. Most companies have an accessible website to search for products, read item features, reviews and contact information via email or phone to answer questions. One key tip is to look for companies who offer phone support, so you can talk to a live customer service agent before purchasing products. 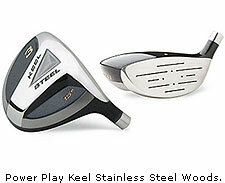 You can also purchase used clubs at select companies online. Used clubs are a great present for beginners who aren't sure what product specifics their game entails. 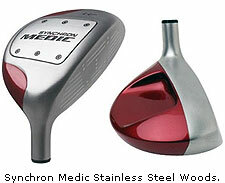 PinemeadowGolf.com has the largest selection of factory-direct custom built golf clubs online. A new section in our forum lets you ask a question and get opinions from others around the world, getting a well-rounded opinion from both Pinemeadow and golf consumers. Golf literature is a great gift idea. One can learn more about the complex game of golf. Golf books run the gamut of instructional, recreational, and inspirational topics. You can find literature about golf courses throughout the world, categorized by geographic region, playing level, price, etc. There are also books that provide information on proper golf etiquette including attire and behavior. Biographies and books about the experiences of players on tour are very humorous and a great read. Most people would tell you that they find biographies more entertaining then instructional books. 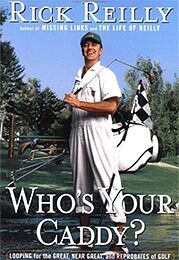 One of our favorites is Who's Your Caddy? Looping for the Great, Near Great, and Reprobates of Golf by Rick Reilly. All of these types of books make great gifts for anyone interested in golf. Golf books can be found at virtually any books store such as Amazon.com, Borders or Barnes and Noble. There are endless golf products in today's industry. Golf trends provide new products each year, such as new equipment technology, apparel and footwear styles, lightweight bags, new cleaning devices, and innovative practice equipment. 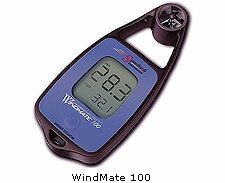 There is always something new to purchase, which makes giving a golf-related gift an easy task. A fun holiday idea is to put together a golf basket complete with golf accessories including a golf towel, golf balls, divot tool, ball markers, tees, hat, golf book and maybe an instructional video. Be creative! Every golfer needs a bunch of these items to survive a year of golf. All major stores and online merchants carry these items. Pinemeadow Golf.com has some excellent prices. You can always consider a gift certificate if you don't want to pick clubs or other related golf items for another person. Gift certificates are convenient holiday present for all the golfers in your life. It lets the golfer pick out items they prefer. And you don't have to try to get custom measure on fit if while they are sleeping. From our experiences, everyone loves to go online and research to find something that suits their game. It is an experience to learn more about golf, as it is much more complex then one would think. All major online golf companies have gift certificates available. Whatever golf product you are searching for, you are sure to find it by searching the web or visiting a major golf retailer. We tend to find higher prices at a pro-shop, but you also have the luxury of seeing what you purchase first hand. Luckily most online retailers have 100% guarantees so you can get the club in your hand and decide if you want to keep it. Some even let you play and return. One benefit pro-shops don't offer. You can plan your shopping early and avoid the headache of battling traffic and crowded stores by shopping online for the golf gift for that special someone in your life. Most importantly, have a safe and fun holiday season. Drive safely and remember to keep it in the fairway. The Pinemeadow Staff Writers are made of what we like to call "golf gurus" who specialize in a variety of subjects in golf. The team comprises employees of PinemeadowGolf.com, a website that builds and sells custom golf clubs to thousands of golfers worldwide. What putter will work for me?